Kamiyama-cho, Tokushima, aims to become the most beautiful town of weeping cherry blossoms in Japan. 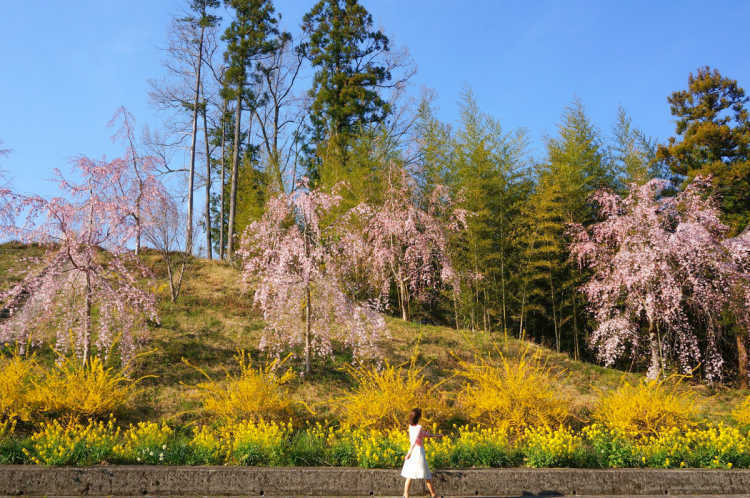 Weeping cherry trees and canola flowers are planted mainly National Route 438 and all over the town, and they are so photogenic! It's no problem to say here as No.1 in Japan.◎Season: the beginning of April. Access: by car. There're many view spots all over the town. In the period of full bloom, so many people visit here that the routes will get choked with traffic.